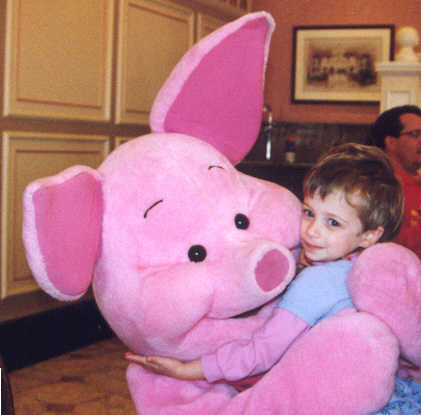 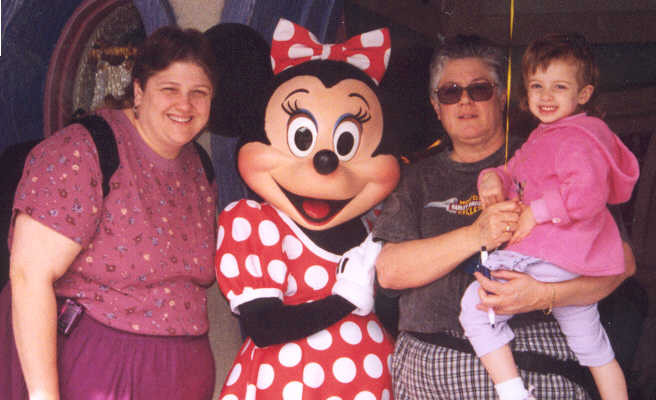 These are pictures from our trip to Disneyland February 12, 2000. 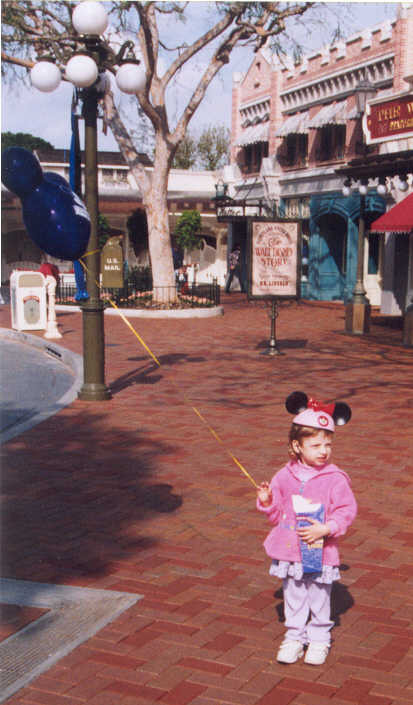 Katelyn in full disney gear on Main Street. 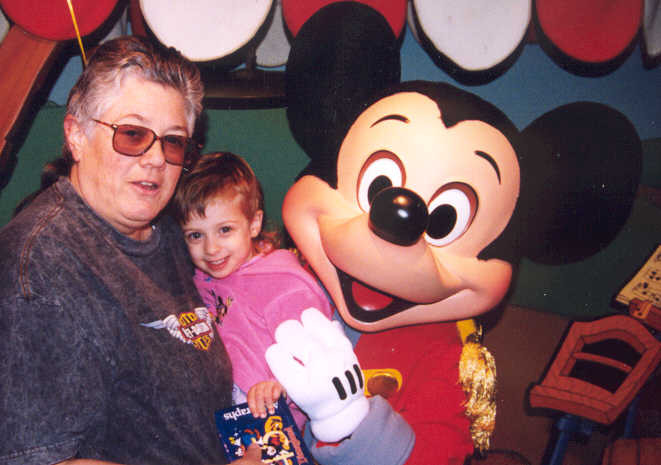 With Mickey.